I believe gifts should fall into one of two categories: luxurious things someone wouldn’t buy themselves, or insanely useful items they didn't know they needed. You won’t find scented candles or cuff links on this list. Instead, I pulled together ten (some admittedly quirky) items I bought for my own house and love completely. I get excited just looking at the photos of them, and I think they'd make great gifts for anyone who cares about their home. My kitchen is large but it's very short on counter space, so this year I realized a magnetic knife strip was the obvious answer to my counter woes. This inexpensive Ikea option is very popular and will do the trick, but metal isn't supposed to be great for your knives. I also wanted something attractive to display on the wall. The thunk of my knives attaching to the wood is satisfying, and it’s very attractive to look at. I have the longer version which is a little more expensive at $48 but I think the extra space for your knives is worth it. There's nothing better than climbing into bed made up with fresh sheets, and my favorite sheets, hands-down, are the classic white percale sheets from Brooklinen. I've had them for years and they're just as crisp and soft as the day I got them. Most people probably don't spring for new sheets for themselves on a regular basis, which makes them the perfect gift. The classic core set includes a flat sheet, fitted sheet, and two pillowcases, but you can also buy all the pieces individually. As a bonus, you can use this link for $25 off your first order from Brooklinen. Want to make your desk look classy af instantly? I love this leather mousepad so much I have one on my desks at both home and work. It does ship from China, so be sure to check shipping estimates if you want to order in time for the holidays. If shipping will take too long, check out similar products on Etsy, which is my favorite source for reasonably priced leather goods. This is my go-to wedding present or fancy birthday present for people I really like. Heath Ceramics is a Bay area institution -- they've been making ceramics in Sausalito since 1948. All of their colors and glazes are gorgeous, and it's hard to think of someone who wouldn't appreciate the perfect serving bowl for salads or fruit. For a less expensive gift, a pair of their coffee mugs would be perfect -- I drink out of them every morning. 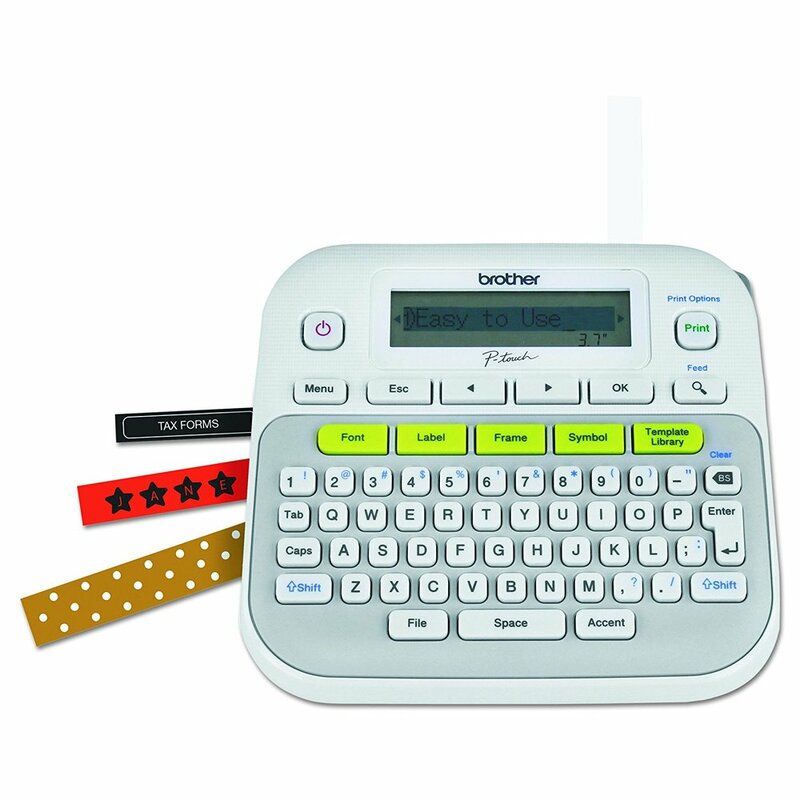 This might seem like a weird gift but if you haven't owned a label maker before, you're in for a real treat. I don't remember why I bought this for myself, although I do know I found it thanks to Wirecutter. So far I've used it to: label my hair dryer at work with my name, label the bins in my front hall closet so I remember what they contain, label canisters of flour and sugar in my pantry, label the towel hooks in the bathroom... and the list goes on. Warning, once you own this it's a slippery slope to becoming Martha Stewart. 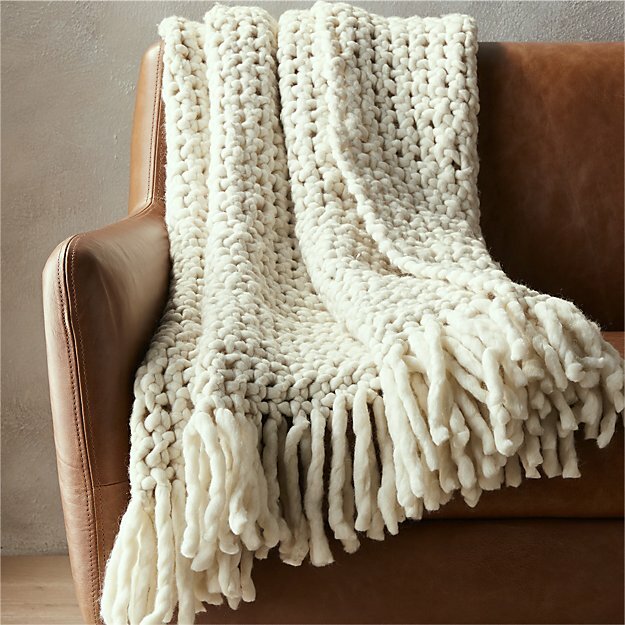 Owning this blanket is like owning a really cuddly pet you don't have to walk or feed. I've bullied several friends and clients into buying it, and they can attest it's as great as I swore it was. I love that it's huge so it covers all of you and keeps you warm, and that it's made of real wool (if you're sensitive to smell, it does have a slight sheep smell to it, but it went away over time). It goes without saying it also looks great draped across your couch. I am frankly obsessed with all things Elfa from the Container Store, but this particular storage solution is the BEST. After trying a couple cheaper lookalikes, I bought this one and never looked back. It's extremely sturdy and screws easily into the door, no leveling required. It also doesn't move if you vigorously swing the door open and closed. I attached one on the back of my front hall closet door and it somehow quadrupled the existing storage capacity. 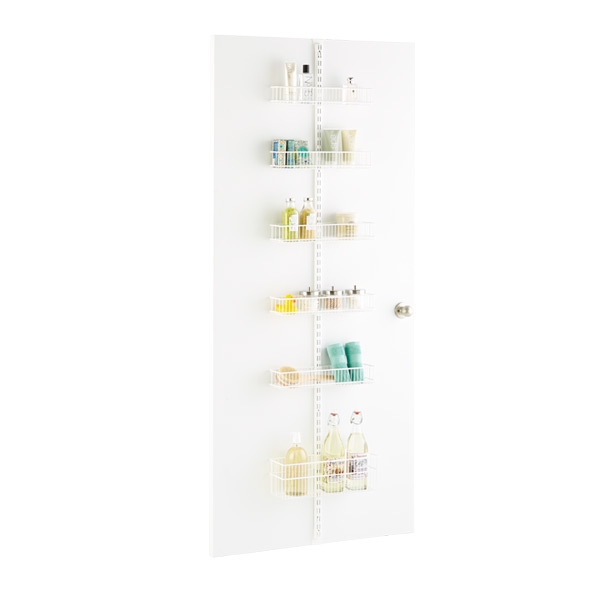 If you have someone in your life who appreciates organization and has a door in their house (especially a small house), this is the gift they never knew they needed. Note, there are several configurations so make sure to give the person a gift receipt in case they want to swap out pieces. I spent forever looking for a pretty shower curtain for my bathroom, eyeing expensive ones from Schoolhouse Electric and Parachute, but then I randomly stumbled on this inexpensive one at Target and I found my match. It's so pretty in real life -- the tiny checks create amazing texture and visual interest, and it's inexpensive enough you can buy two if you need extra length. I don't own these hand towels but my friend Kevin does, and every time I use them at his house I get very excited about how nice they are. Just like sheets, most people aren't dying to buy new hand towels for themselves, but they'll be glad to have these. The Parachute towels are soft and the waffle texture keeps them looking cleaner longer. I particularly love the smoky grey color. If your friend or loved one isn't blessed with a dishwasher, save them from playing jenga with their dishes and give them this expertly-designed Simple Human dish rack. As soon as I placed it on my counter I wondered why I had been using a sad tiny one for so long when I hand wash a ton of dishes every week. It's a little expensive for a dish rack, but it's very sturdy and looks great filling up all of my counter space. Note this one is pretty big, so if they have limited space, this is a smaller option. Still stumped for gift ideas? Try a recurring donation in their name to Planned Parenthood, the perfect six-foot iPhone cable, or an "I Did My Best" tshirt. Because these are still the best things I bought myself this year.